For most people, achieving success on this great program is simple and doesn’t require any counting of calories or carbohydrates. Here are a few tips that can help if you are experiencing slower weight loss or if you reach a weight-loss plateau at some point in your program. 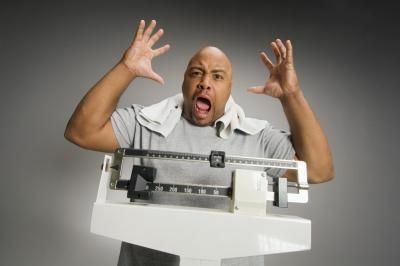 Remember ” A True Plateau” is no movement in weight loss or inches for more than 3 weeks. × If you haven’t started exercising yet, now may be the time. Start slowly, and gradually increase time and intensity as your body allows. Remember, listen to your body! If you are already exercising, try picking up the intensity or frequency of your workouts. × If you are exercising intensely, you may be pushing too hard- try to avoid excessive “huffing and puffing” while exercising. Your body will store fat if you are overworking it! × In general, be aware of your total carbohydrate intake. If you are experiencing slower weight loss or hit a plateau, we recommend staying between 80-85 grams of carbs per day. × Try eating more “liquid” products for a few days, which are generally the lowest in carb content (shakes, smoothies, soups, drinks). × Choose meats from the leanest category and veggies from the lowest carb category for a week. Eat more fish! × Avoid eating your optional snack. × Maintenance Bars (in the green wrapper) are higher in carbs than other Meals and you are only allowed one of these a day during the weight-loss phase, if you are having one a day – lay off for a while. × Ask your health coach about a support website to log your meals and be sure you are eating the lean meat and green veggie meal as it is recommended. Get the link from your health coach. × Make sure you are drinking half of your body weight in ounces of water each day. At least 64 ounces, but preferably 100 ounces or more is best for getting off a plateau and continuing success. × Talk to your health coach about special products to add to your program that will help you burn more calories and increase your metabolism. × Make sure you are eating within a half hour of waking up, and never surpassing 3 hours between meals. If you’ve tried these tips and are not getting the results you expected, contact your health coach for more ideas.